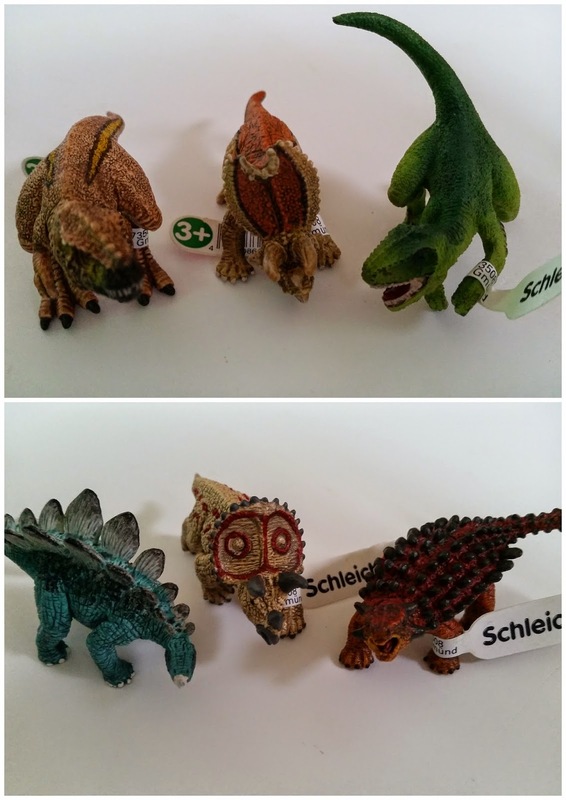 Schleichs have got a new range of novelty Mini Dinosaurs. There's 10 new Mini Dinosaurs to enjoy, there's everything from the huge Tyrannosaurus rex, vicious Velociraptor and slow Stegosaurus. Each one is a mini replica of the giant beasts we all know and love. My little man was sent a small selection of the new Mini Dinosaurs to play with this week and I have to say, he's been one happy little boy indeed. He may be only 4 years old but he's already developed a small obsession for these four legged creatures. These little fellas may be small but their play potential is much bigger. Each one is very detailed and looks just the like the real thing. They're textured and painted really well, Ryan loves them. I kind of knew that Ryan would love them but I was a little surprised when his big sister Lily took a liking to them too. The two of them have been playing their own games with their new mini friends for hours. They're great small toys for children with big imaginations. 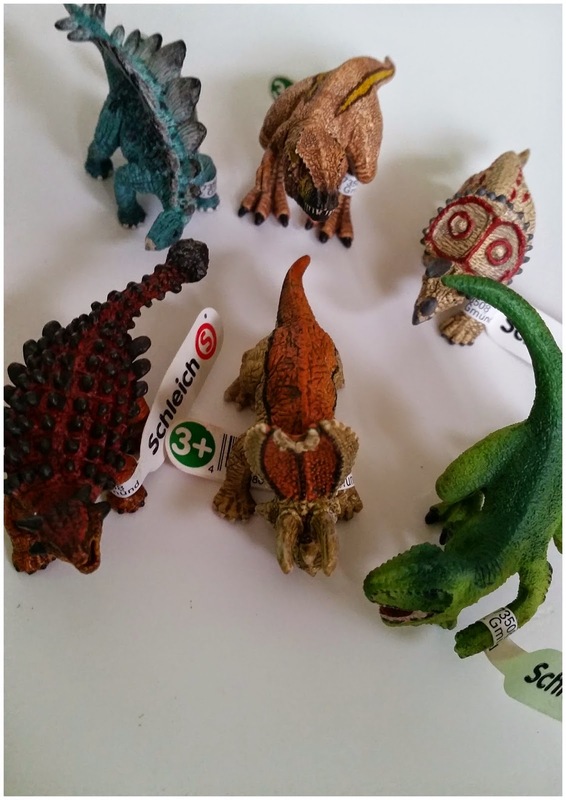 If you have a little one who loves Dinosaurs then these are a must have. They're very sweet, size wise but great fun to play with. My two have been having a Roaringly good time! Disclosure: We received a sample of these toys in return for an honest review.